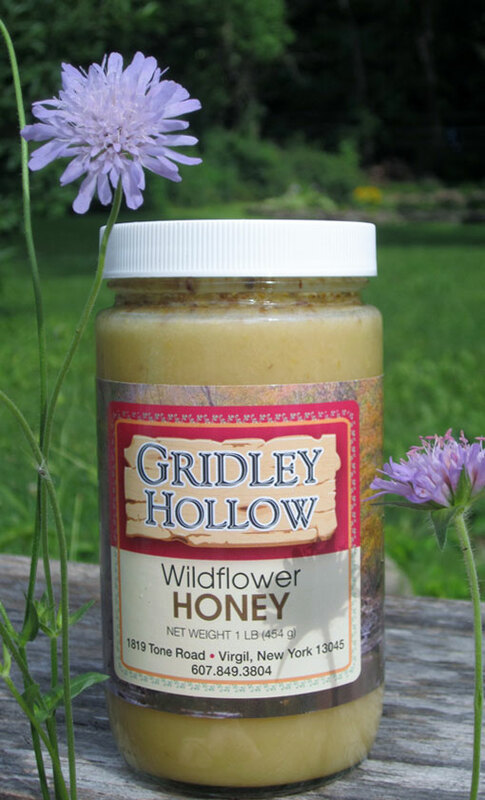 FALL WILDFLOWER HONEY IS NOW AVAILABLE AT GRIDLEY HOLLOW! 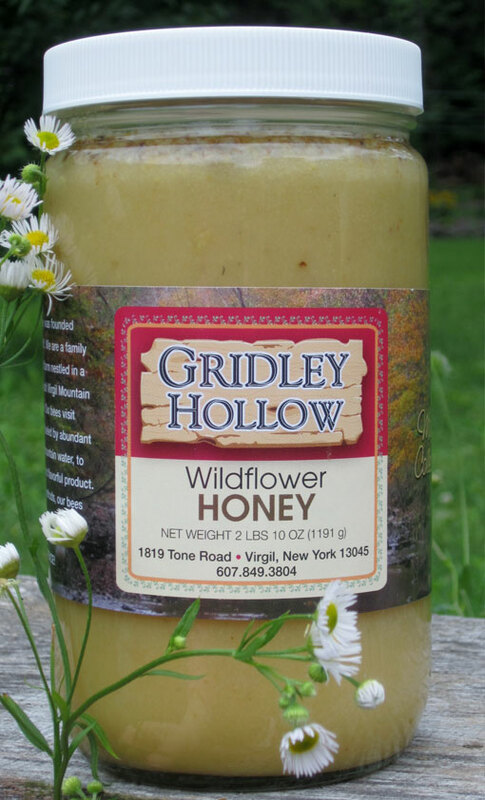 – Gridley Hollow Honey Co.
We have had a wonderful summer and are looking forward to the cooler fall weather. The fall flowers are finishing up their colorful display and our bees took full advantage of the abundant nectar and great weather that was provided. Our bees make the fall honey from goldenrod, aster and bamboo nectar. It is available as strained liquid honey or as raw, never heated, un-strained, creamy, finely crystallized,spreadable honey. Rich and bold flavored ,it’s one of our favorites! We have just started harvesting and may have some mostly bamboo honey available also in a week or two. We have a good supply of summer wildflower this year also. This honey is light and mild flavored, great in tea and smoothies! Our honey is also available at our farm stand, The Local Food Market in Cortland NY and Hollenbeck’s Cider Mill in Virgil NY. We hope that you have a wonderful fall season and have the opportunity to get out and enjoy God’s beautiful creation!